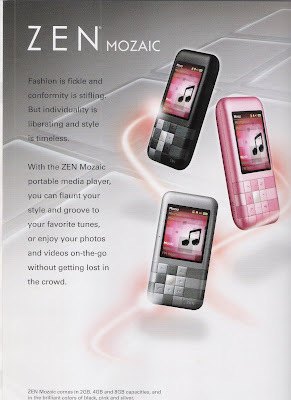 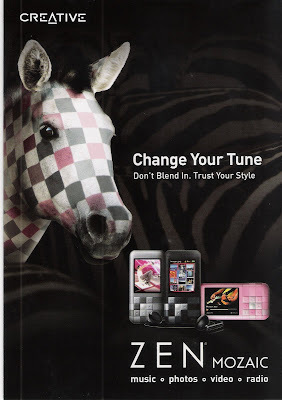 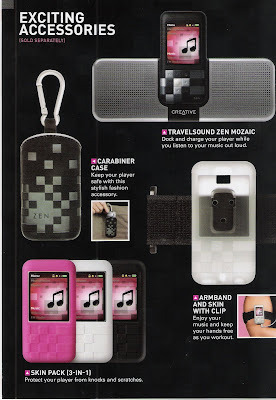 We have a copy of the Zen Mozaic brochure showing all the features and technical specifications of this new mp3 player by Creative Labs. 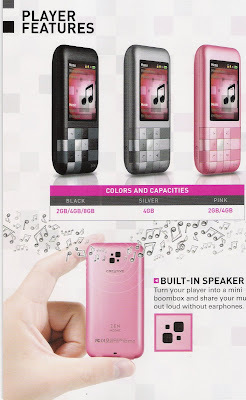 There's a built-in speaker where you can listen to your music live. 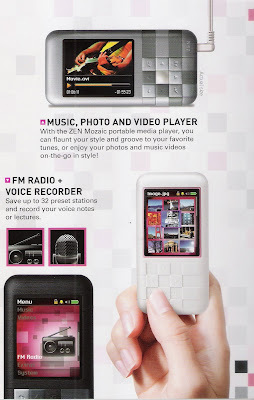 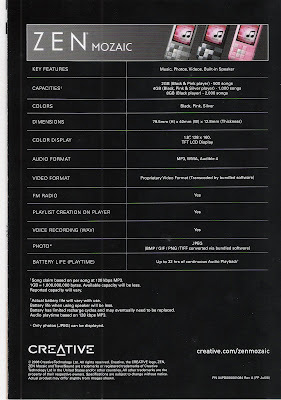 You can also watch your video and photos on this mp3 player.